Thanks to all for your contribution to a very successful workshop! We are very happy to announce that Gergely Hadobás, a cello student from the Liszt Ferenc Academy of Music will perform at the workshop reception on Sunday the 31st July. 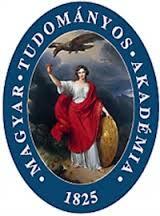 to be held in Budapest from 31th July to 5th August 2016. The Torino Workshops series started in Torino in 1995 and 11 workshops have been held so far in different parts of the world. 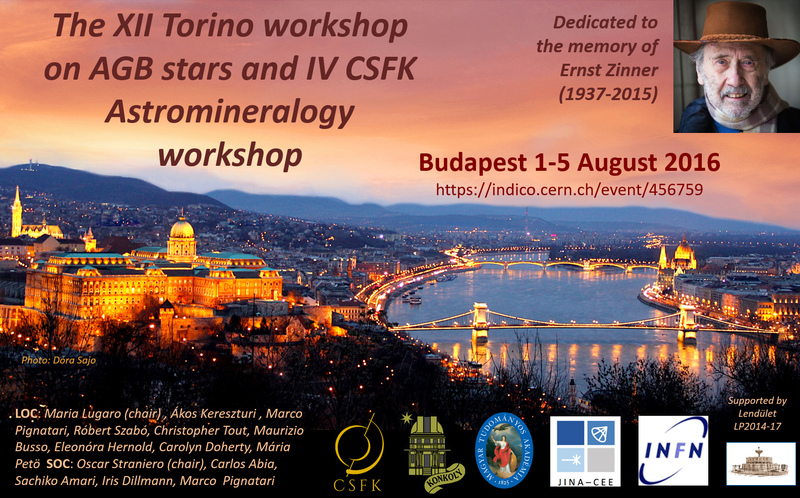 The 12th workshop will be held jointly with the biannual CSFK Astromineralogy Workshop IV, which started in Budapest in 2010. 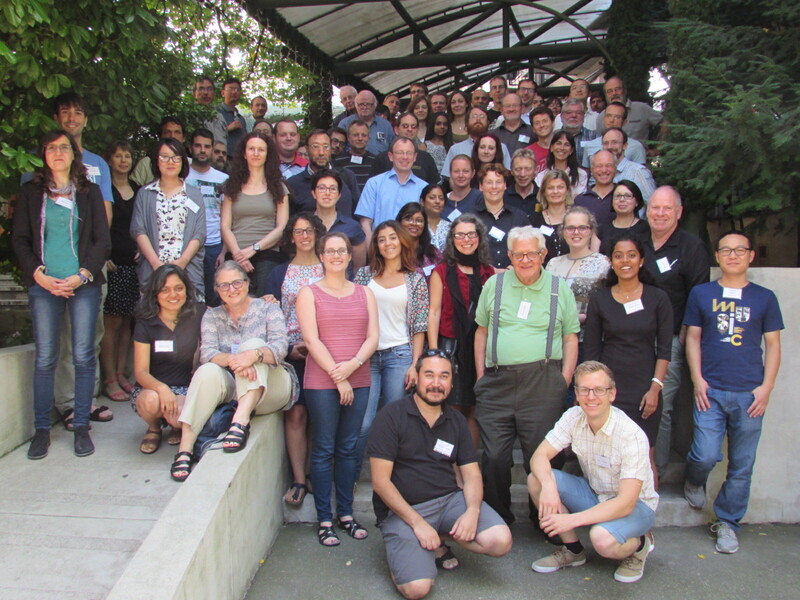 Traditionally, the Torino workshops focus on the physics of asymptotic giant branch (AGB) stars and the production of nuclei therein. Many related topics are discussed in depth: nuclear astrophysics, galactic chemical evolution, stellar winds and dust formation, meteoritic stardust, cosmochemistry, and radioactive isotopes. These themes overlap with those of the Astromineralogy meetings, which traditionally cover topics from dust in forming planetary systems, meteorites, next ESA missions and space telescopes. The workshop will bring together astrophysicists, astronomers, nuclear physicists, and cosmochemists to discuss research topics in an interdisciplinary fashion. We want to identify current key scientific questions and methodologies to tackle them by combining different expertise, for example, combining laboratory analysis of cosmic materials and nuclear physics experiments to track the origin of cosmic dust and of nuclei in the Solar System, and interpreting recent observations of the chemical composition of stars using intermediate neutron-capture processes. We acknowledge support from the Hungarian Academy of Sciences (MTA), the MTA Research Centre for Astronomy and Earth Sciences (CSFK), the MTA-CSFK Konkoly Observatory, the JINA Center for the Evolution of the Elements, the INFN Section of Perugia. 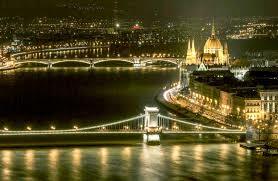 please follow the link "Submit an abstract" and the instructions given in the link "Financial support"
please follow the link "Registration" and the instructions given in the link "Accommodation"
Budapest is a beautiful city, with historic traces of the Roman, Turkish, Medieval, and Romantic periods. For centuries it was one of the point of contact between different cultures coming from the rest of Europe and the Far East. Today Budapest is a modern city full of attractions, including great museums, amazing thermal baths, and a huge number of bars and restaurants. The month of August is particularly rich in cultural events taking place in many different parts of the city and nearby, in towns along the lake Balaton. Therefore we would strongly recommend you to extend your visit either before or after the meeting, allowing you to discover Budapest and enjoy its attractions. We are happy to welcome you in Budapest in August 2016!